New constructions are all the craze. Everyone wants a dazzling new home with all the bells and whistles, but that comes at a cost. So, what if you could get a brand new home with everything you want for a fraction of the cost? 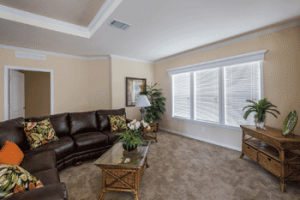 Brand new manufactured homes are perfect for families, active retirees and everyone in between. 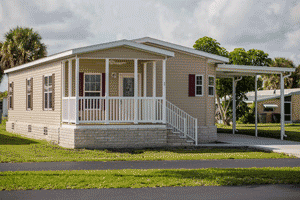 We’re going to tell you what you need to know about new construction manufactured homes. You can choose from tons of floor plans that will accommodate your needs. There’s homes with 1 or 2 bedrooms all the way up to 5 or more. You can find a split level home plan or one with all the bedrooms on the same side. It’s all up to you! Having warranties is great, but what if your home came with one? Many new manufactured homes come with a warranty that could over a year. You’ll have great peace of mind knowing that your home is protected. This is a benefit you won’t get with older homes. Today, many new manufactured homes aren’t just built in an energy efficient way, they are built with green materials too. That means you are reducing your carbon footprint just by owning a home you love. In fact, manufactured homes tend to produce 30-40% less waste than site-built homes. That’s a great thing for the environment. More and more lenders are starting to offer mortgages for manufactured homes. 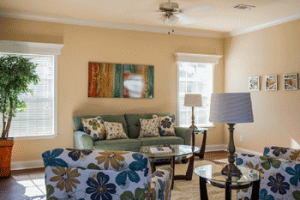 New manufactured homes are often even easier to finance than older homes. This is giving more people the opportunity to buy a wonderful and affordable home. We love the look of new manufactured homes. 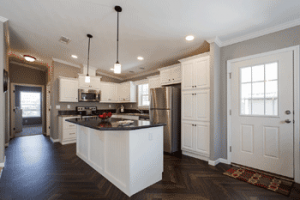 Depending on your price point, you could have a number of stylish upgrades from wood floors and granite counters to stainless steel appliances and crown molding. 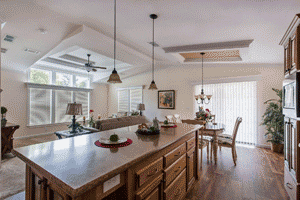 Many new homes have large open floor plans that are great for entertaining loved ones. These homes are made for people to live and love well. 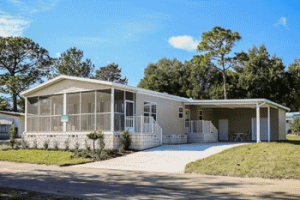 Click here to see our amazing selection of new 2015 & 2016 manufactured homes. Selling your home used to be about curb appeal. People want to drive up to a home and feel proud, they want to imagine themselves living there. Today, most home searches begin online, so curb appeal has become “pic appeal”. Does your mobile home have it? Most people are not professional photographers and don’t have much more than a cell phone camera to take pictures. But using these tips, we hope you can give your mobile home the curb appeal it needs to sell fast! People want to imagine themselves in the home. They can’t do that if your home is cluttered and dirty. Try to make the home look as open and clean as possible, this will help when you have showings as well. Remove or tidy up most of the personal items like pictures of family or knick-knacs. It’s nice to show a personal touch, but don’t let it take over the room! 2. Let the Sunshine In! Natural light will do wonders for your photos. Open up your blinds and turn on the lights in the home before taking pictures. Make sure it’s a nice sunny day outside so your pictures look bright and airy instead of gloomy. For rooms, take pictures standing in the doorway. Try to get several photos if the room is large so people can see it from multiple angles. Don’t forget to take photos of closets, etc. Take exterior pictures at an angle, rather than standing in front of the mobile home. This gives people depth and lets them see the home better. When it doubt, photograph it! Remember though, people want to see your mobile home, not what you have inside ti! They want to picture their own things there. If possible, use a level surface or a tripod to take your pictures. The last thing you want is for your lines to appear sideways! Professionals won’t want you to know this little secret, but be sure to get low. Kneel down and take pictures below eye level for more professional looking photos. It makes the room look bigger and gives people a great view. Some pros say about 40 inches off the ground will make your pictures look magazine ready! 5. People, Places and Things! Try to keep pets, people and things out of the images as well. Make sure your pets and family members are in a different room as you’re taking pictures! When you take a picture in the mirror, be sure to check the shot to see if you’re visible! What do goals look like? Sometimes they are big, other times small, but whatever form they take on, goals are a great way to keep your company moving in a positive direction. One goal we focus on at Newby Management is achieving 100 percent occupancy in our communities. Over the past several weeks, we’ve discussed many ideas on resident satisfaction in manufactured home communities. Some of the topics we’ve discussed included how Five Ways to Get Your Residents Involved in Your Manufactured Home Community and Five Ideas to Serve Residents in Your Manufactured Home Community. Successful performance in there areas creates a platform for achieving 100 percent occupancy. As with most things, this requires more than a magic formula on operations or checking items off on a list. 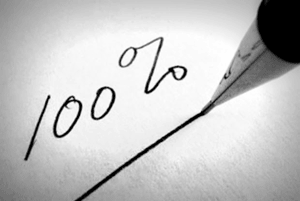 It all begins with adopting and owning the mindset that 100 percent occupancy is achievable. A focused goal and deliberate set of actions or tasks will move you closer than you were before making it a goal. When the whole team is focused on this goal it is amazing how the thoughts and decision making processes change. All decisions have to be held up to the goal. For example how does this decision impact the goal? Does the action support or subtract from the goal? Operators adopting such a goal need to make sure that there proper financial support for the goal? Should there be a serious investment in the amenity package? Is there deferred maintenance? Are the residents happy enough to refer other residents? The entire team operating with one corporate focus moves a community closer to 100 percent occupancy. Decide today to make 100 percent occupancy a goal.